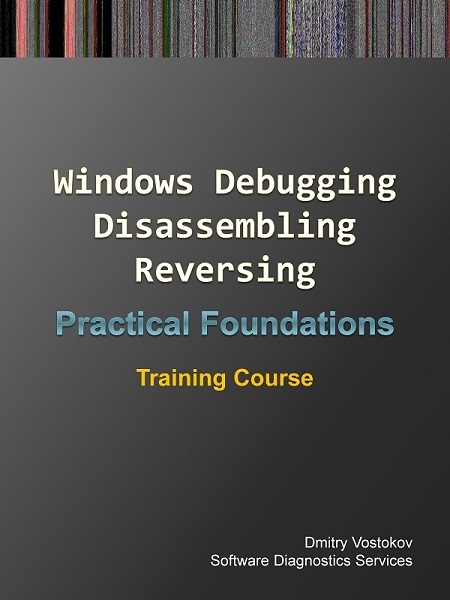 This training course is a combined and reformatted version of the two previous books Windows Debugging: Practical Foundations and x64 Windows Debugging: Practical Foundations. The new format makes it easy to switch between and compare x86 and x64 versions. The book also has a larger format similar to other training courses from Software Diagnostics Services, punctuation and code highlighting improvements, the output and screenshots from the latest WinDbg 10, and consistently uses WinDbg (X86) for 32-bit examples and WinDbg (X64) for 64-bit examples.